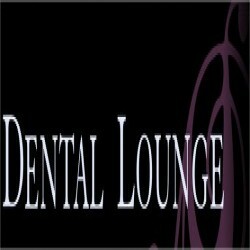 Dental Lounge was established to provide much needed NHS dental care to the community of Haddington and surrounding areas. We believe that we do things with a difference. We care about our working environment, as well as our patients and staff. We continuously strive to maintain high standards in everything we do. We currently have four functioning state of the art dental surgeries as well as a Digital X-Ray room, Dedicated Sterilisation Rooms and full disabled access. We have worked hard to ensure that Dental Lounge provides superior dental care and treatments using modern dental technology. Our ethos is that no two patients are alike. As a patient, you will be treated very much as an individual and you can be assured that behind your treatment plan lies careful planning, good experience and a whole lot of care. With a committed staff dedicated to your needs we hope to offer you a second to none dental experience. Please do not hesitate to contact us via phone, email or post if you have any questions or comments.